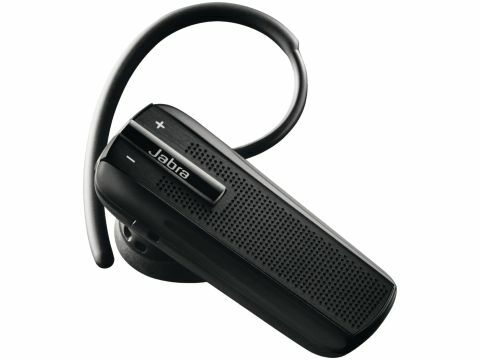 The Jabra Extreme is a Bluetooth headset that comes with a USB dongle for connecting it to a PC. It features excellent noise cancelling technology through two built-in microphones, and in our tests we found that it worked brilliantly, blocking out the background noise and making Skype calls feel less strained. The sound quality is also excellent, some of the best we've heard on a Bluetooth headset of this size. The small size of the Jabra Extreme headset makes it easy to carry about, but it's not that comfortable to use, with the volume control buttons in particular being a little too much on the small side, meaning they're fiddly to use. The Jabra Extreme comes with two sizes of in-ear headphones, although we found both to be a little uncomfortable, and definitely not something you'd want to have in your ear all day long. Pairing up the Jabra Extreme to a PC or Bluetooth is incredibly easy – it took us just a few minutes to connect it up to a smartphone and a PC, and it accepted calls from both without any problems. This is an excellent Bluetooth headset that offers excellent noise cancelling and sound quality and is very easy to set up and use. Its only major flaw is that it can feel uncomfortable when used for long periods of time.